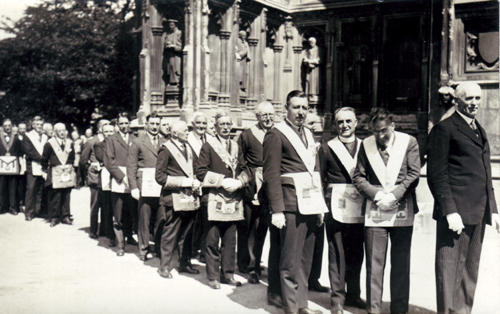 The Midnight Freemasons: What Kind Of Mason Are You? Todd E. Creason, 33° is the editor of the Midnight Freemasons blog, and author of several books and novels, including the Famous American Freemasons series. He is member of Homer Lodge No. 199, and a Past Master of Ogden Lodge No. 754 (IL). He is a member the Scottish Rite Valley of Danville, the York Rite Bodies of Champaign/Urbana (IL), the Ansar Shrine (IL), Eastern Illinois Council No. 356 Allied Masonic Degrees, and Charter President of the Illini High Twelve in Champaign-Urbana (IL). He is also the author of the blog From Labor To Refreshment . . .